For the benefit of Batanguenos who wish to apply for SSS membership under the Compulsary or Voluntary Coverage program, apply for SSS loan, or to simply check their SSS contribution, we have gathered and posted below a list containing the addresses, hotline numbers, and even the email addresses of every SSS Branches in Batangas. The main purpose in opening these SSS branches is to make the Compulsary or Voluntary SSS programs and services easily accessible to employers, employees, and even private individuals alike. 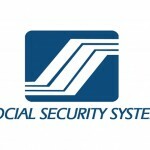 The said SSS branches in Batangas are located in the business districts of Batangas City, Lemery, and Lipa City. Given below is the address and available contact numbers of each SSS branch in Batangas. For inquiries about your SSS contribution or SSS application, you can visit the nearest SSS branch in your province, city, or municipality. And for those who know more about SSS Online, you can register by visiting sss.gov.ph. saang post office po nyo pinadadala ang checkque ng nagfile ng salary loan sa branch nyo po, dyan sa robinsons place lipa sss branch?